You only need to take a look at the safety statistics to see that accidents on construction sites are responsible for a disproportionate number of all fatal workplace injuries – although the construction sector accounts for just 5% of employees in Britain, it accounts for 27% of all fatal injuries to employees, many of which result from falls. 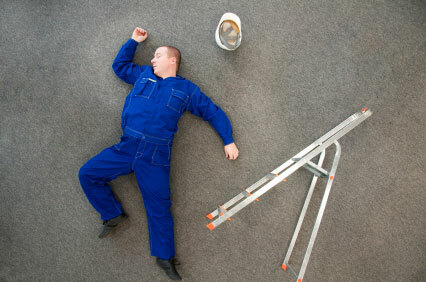 However, it’s not just construction workers who are at risk when working at height… In fact, working at height remains one of the biggest causes of fatalities and major injuries full-stop, with common cases including falls from ladders or through fragile roofs. This short guide aims to give you the low-down on the law regarding working at heights and information you can use to create a working at height policy, as well as practical advice on how to keep you and your colleagues safe. The Working at Height Regulations 2005 apply to all work at height where there is a risk of a fall liable to cause personal injury. In 2007 an amendment came into force, applying to those who work at height providing instruction or leadership to one or more people engaged in caving or climbing by way of sport, recreation, team building or similar activities in Great Britain. 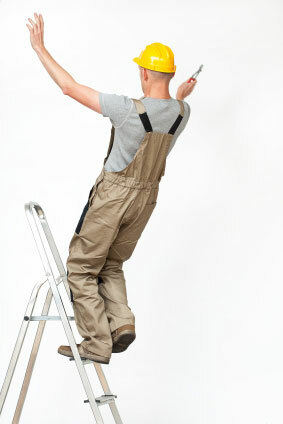 For more advice about working at height, visit the HSE website. 1. Follow RoSPA’s brand new Twitter feed dedicated to workplace safety,@RoSPAWorkplace for all the latest guides, hints and tips! 2. Sign up to RoSPA’s brand new fortnightly e-bulletin, SafetyMatters. Enjoy this? Take five seconds to sign up for SafetyMatters – RoSPA’s FREE fortnightly newsletter. Safety when working at a height is absolutely vital. There are so many hazards! Having worked closely with the construction industry over the years I’ve worked alongside an array of safety trainers, however, none have provided training as well as http://bit.ly/1lOHA4Y. Nets and common sense can help hugely when working at a height! Keep the great articles coming . . .